Tonight in the home opener against North White the Ramblers came out playing hard and had a good run in the first quarter. After a run by North White in the second the Ramblers fell down 5 in the second quarter. After a long halftime we came out and mad our run and pushed back ahead and refused to lose. 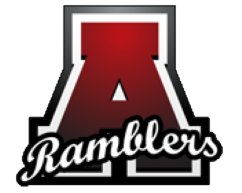 Rambler were led by Chase Little with 17, followed by Aulton Martin 13, Luke Gayler 8, Dj Burris 7, Eli Kirkpatrick 6 and Drew Sheridan 3. Rambler Effort and Togetherness was a huge success in our win tonight, we have some great kids and I’m looking forward to a FUN season! !